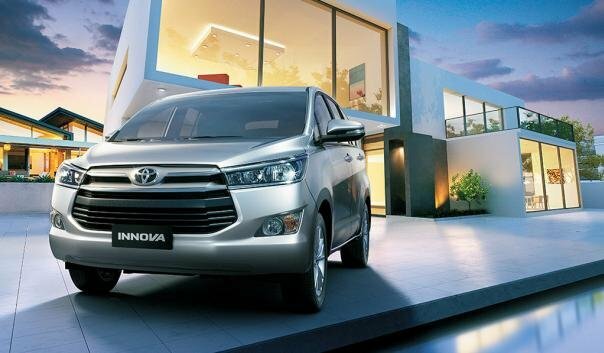 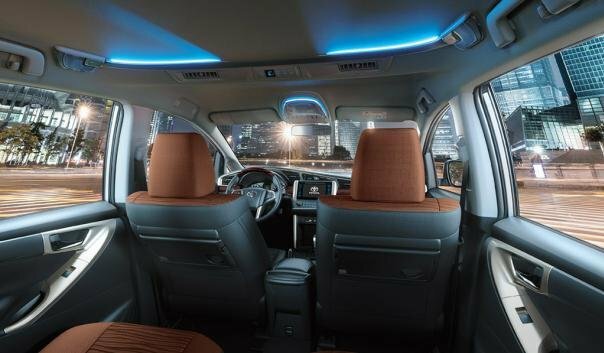 In 2019, the Toyota Innova price has climbed to a new peak. 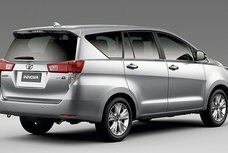 However, this MPV is still affordable, frankly speaking. 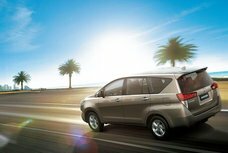 As for the 2.8 E Diesel, the 2.8 E MT price soared to P1,239,000 whereas the AT’s saw a high at P1,309,000. 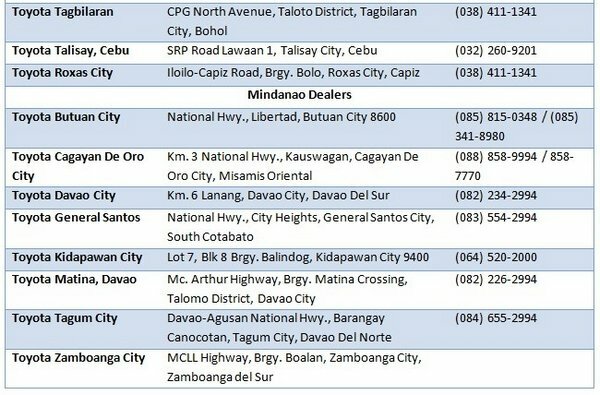 A rise of P88,000 was recorded in the 2.8 G MT and P128,000 in the 2.8 G AT. 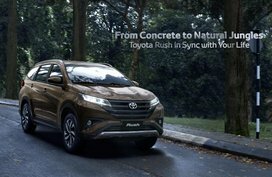 If the 2.8 J was priced at P1,056,000 in 2018. 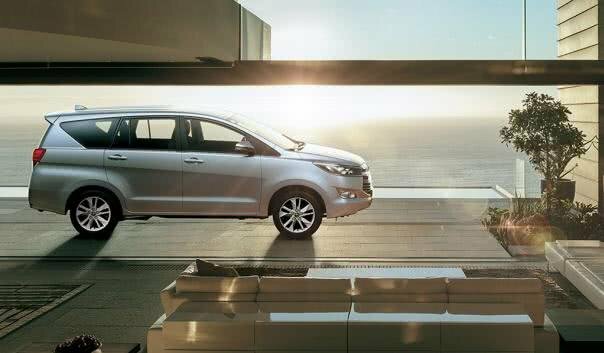 Currently, it can be had at P1,118,000, which is P62,000 pricier than last year’s price. 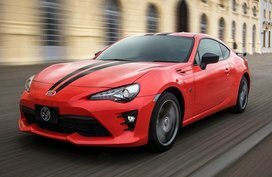 The 2.8 Touring Sport MT is P29,000 stiffer while the AT’s figure is P35,000. 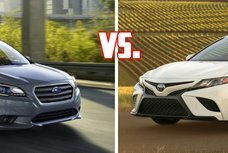 This is the top-end model so without a doubt, it’s the most exorbitant. 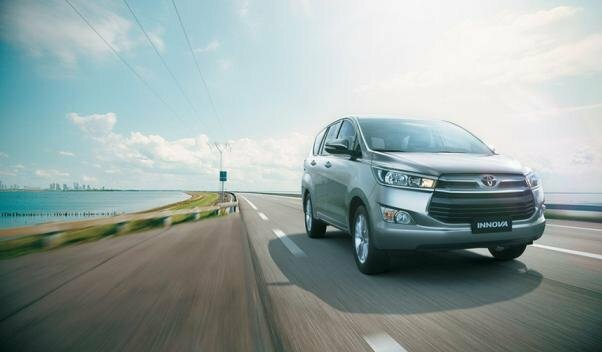 Even, it also experienced the sharpest upward of P168,000 in price, lifting its prices to P1,664,000 for standard versions and P1,679,000 for a Pearl white hue. 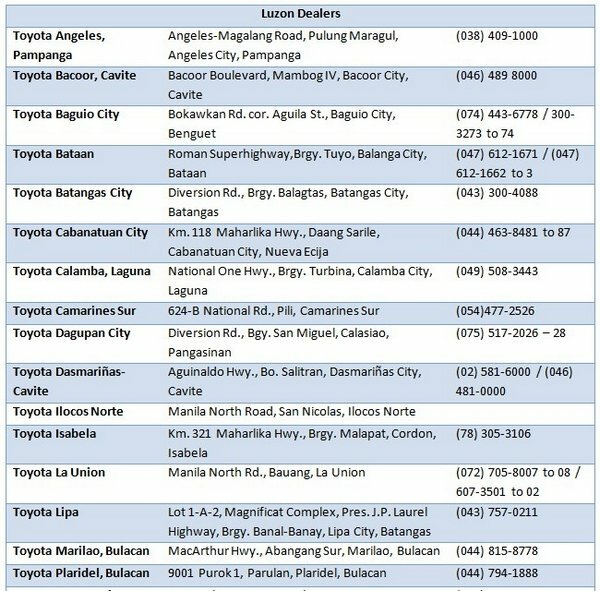 Toyota Philippines is actively expanding to better serve its customers with 60 dealerships across the country. 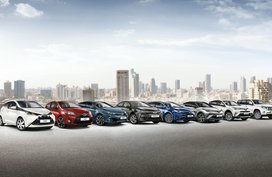 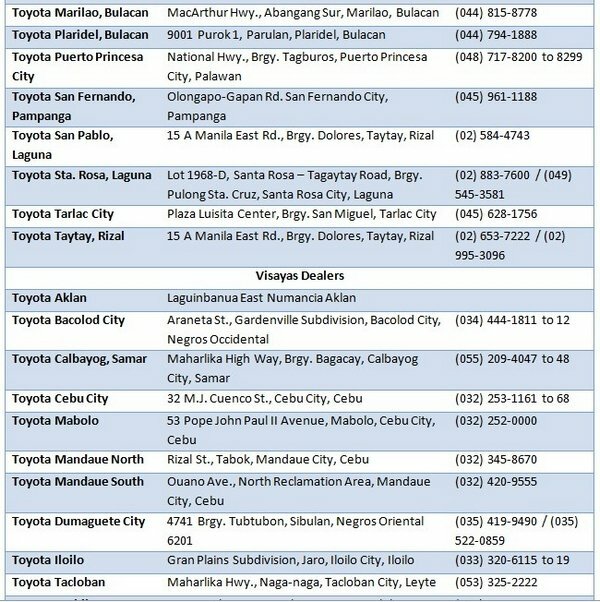 Find the nearest dealer and drive home your very own Toyota vehicle. 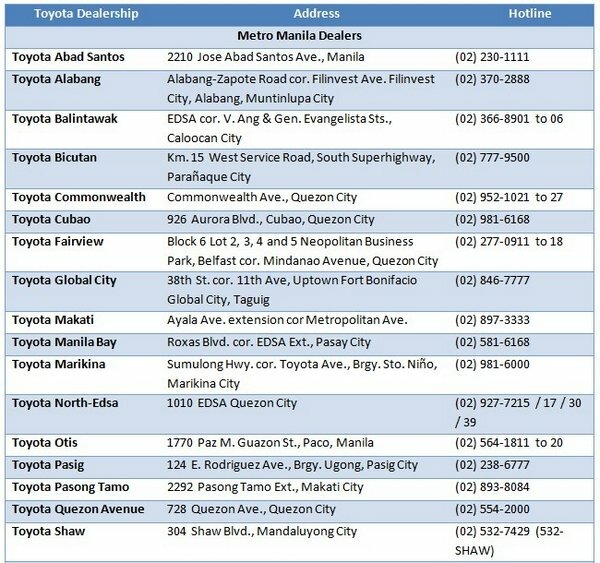 Below are the list of Toyota dealerships in the Philippines accompanied with contact details. 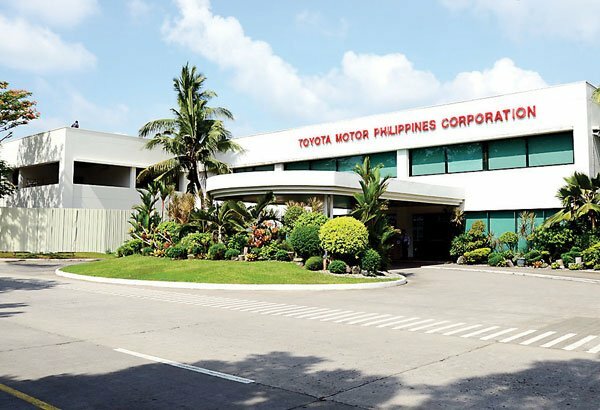 Not only occupying top position in the world’s motoring market, Toyota also leads the local car industry with a widespread network of over 40 dealerships throughout the Philippines, topping the vehicle sales charts multiple times in a row. 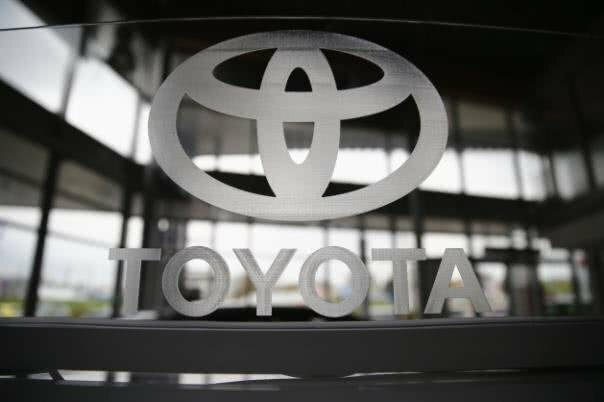 It is difficult not to find a Toyota car running around on the Philippine roads. 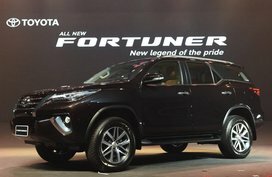 This high dominant position of TMP is thanks to its lineup of hot-selling models in various segments such as the Fortuner, Wigo, Vios, Altis, Camry, Innova, Hilux, FJ Cruiser, RAV4 and more.